Always fun to have Mr. “Funny To Me” in the studio with me. 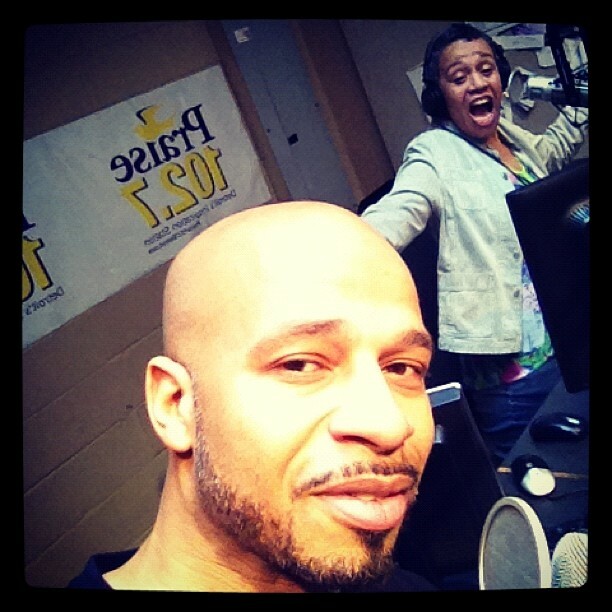 Today Horace “HB” Sanders stopped by to talk about the Lets Have Church Comedy and Game Show. Horace is the host of this fun Friday night at Greater Grace Temple. Check out our conversation and why he had me cracking up by clicking the picture. For more information check out the Let’s Have Church Board Game Facebook Page! This entry was posted in Confessions Entertainment, Confessions Fun, Confessions Work and tagged Facebook, Friday Night Fun, Game Show Greater Grace, Horace HB Sanders, Let's Have Church Board Game by ConfessionsofaGospelDJ. Bookmark the permalink.